McGregor Life storysteemCreated with Sketch. 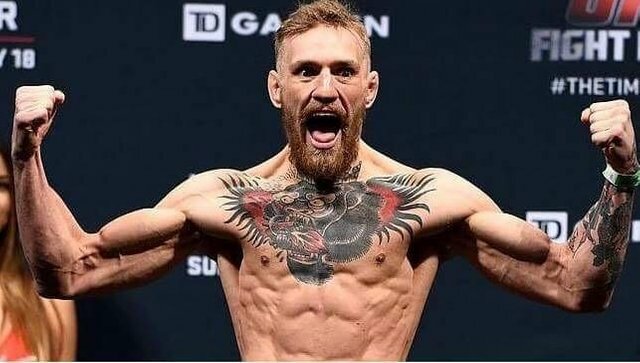 Il est l’actuel champion de la division des poids plumes et des poids légers de l’Ultimate Fighting Championship. C’est une véritable star planétaire et ambassadeur de la combativité. Il est un bourreau de travail mais aussi bourreau dans la cage, l’Irlandais est une machine de guerre, qui se donne sans relâche. 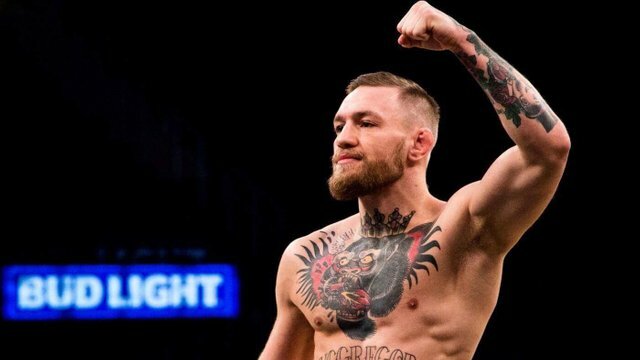 Conor McGregor n’a pas débuté tout de suite par les arts martiaux mixtes (MMA). Champion d’Irlande de boxe amateur, il a donc d’abord appris à se servir de ses poings. Il n’a pas toujours été riche. Avant d’être célèbre, il était plombier. He is the current champion of the division of the featherweight and the lightweight of the Ultimate Fighting Championship. It is a real global star and an ambassador of the fighting spirit. He is a workaholic but also an executioner in the cage, the Irishman is a machine of war, which gives itself relentlessly. 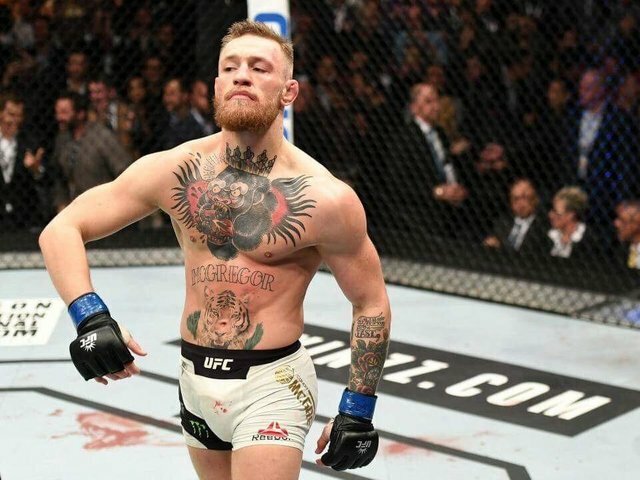 Conor McGregor did not begin at once with the mixed martial arts (MMA). Amateur champion of Ireland of boxing, he learnt thus at first to use his fists. He was not still rich. Before being famous, he was a plumber. 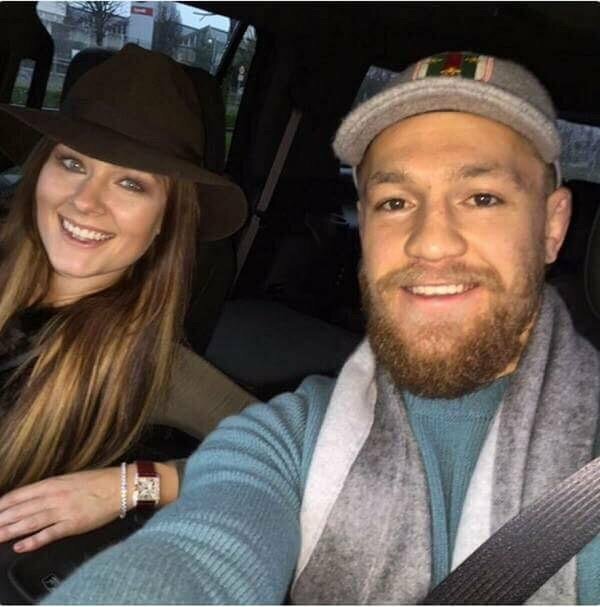 Conor McGregor parle de sa relation d’amour avec sa femme. Elle est sans doute une grande source de motivation pour lui, même si l’Irlandais a aujourd’hui une grande communauté de fans et sans doute une équipe qui l’entoure de la meilleure des manières, sa femme aura toujours été sa première supportrice. Peu importe la situation de ton partenaire, il faut toujours le soutenir.
" It has been 8 years since we are together. We lived in Ireland, in 30 kilometers from Dublin in an apartment rented with a 188€ unemployment benefit. I had no work because I spent all my time in the rooms of training. I knew that I was going to become a champion. She too believed in that and she believed in me. In spite of the lack of money, she made the effort, so that I eat well, so that I can respect the diet of the day, for that her went all out. When I went back home after the hard trainings, without strength, tired, she always told me: " Conor, I know that you will arrive there! " Now, I gain millions of dollars. In my fights there are 50-70 000 spectators. I can buy any car, any garment, any accommodation. Besides, she deserved all this and well even more. She is always next to me and her stop saying to myself that I could make everything … "
It is doubtless a big source of motivation for him, even if the Irishman has fans' big community and doubtless team today which surrounds him with the best of the manners, his wife will always have been her first supporter. No matter the situation of your partner, it is always necessary to support him. FR: La morale dans tout ça NE JAMAIS ABANDONNER!! hola Buenas Noches Amigos Saludos Mi Nombre es Kamilah Soy nueva en el Grupo apoyenme con sus votos visita mi perfil acepto sugerencias para crecer saludos desde Venezuela yo también los estare apoyando.. I started following you .. please follow me back @Rabody so I can support you more.